Sound Diplomacy are proud to present the Music Cities Manual, a set of tools, case studies and lessons to increase the value of music in your city, town or place. Thank you for subscribing. Click here to download the report. This document is your introduction to realising what your music policy can deliver. Music is a revenue stream you haven’t realised yet. And music, when successful, drives growth across a variety of sectors, from film to fashion, education to logistics. The Music Cities Manual provides 13 comprehensive, common-sense steps for any city, place or government to incorporate music into its overall strategic aims, goals and management plans. From planning and zoning to industry development, education to health and wellbeing, equity and social inclusion, music is an expansive, powerful tool to develop more representative, participatory urban strategies that can be used to improve urban policy, resilience and growth. The Music Cities Manual further supports a trend emerging around the world - cities are paying more deliberate and intentional attention to their music, culture and night time economies. A dozen new ‘Night Mayor’ posts have emerged over the last few years and music offices are growing globally, being incorporated into both economic development and tourism departments around the world. Never before has a report been released that links music directly to every city department, and details how it is a tool to improve access, create jobs, drive wealth and support sustainable tourism. With this document and with Sound Diplomacy’s direction, your music policy will create jobs, drive economic growth, support sustainable development goals, increase tourists and improve quality of life. The full Music Cities Guide is available to download now. For more information about the guide or to be a supporter, get in touch here. I have read and accept these terms. Sound Diplomacy, the global leaders of the Music Cities movement, in partnership with Pro Colombia and the World Tourism Organization (UNWTO) are proud to launch the world’s most extensive guide ever written on music and tourism. 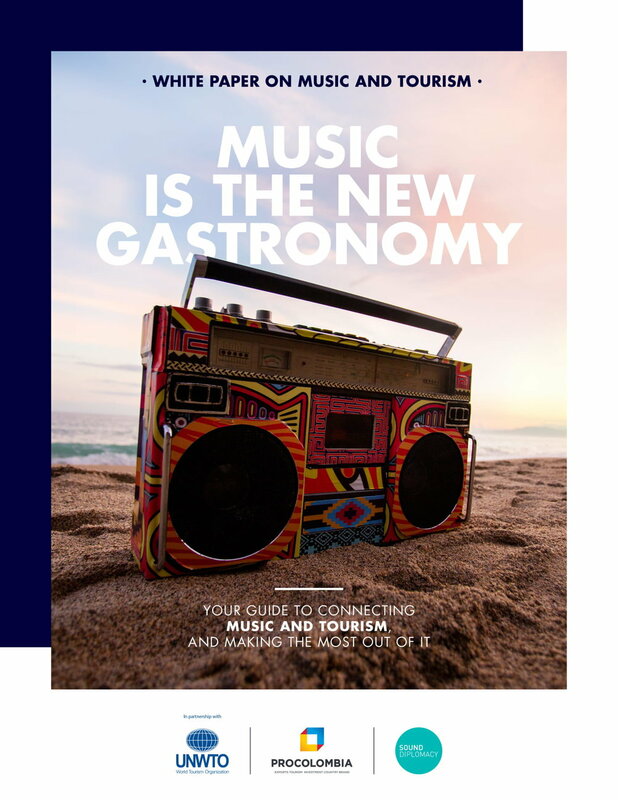 Titled ‘Music is the New Gastronomy’, the white paper is the first to examine and define the relationship between music and tourism. While we all enjoy music when we're travelling, never has music been looked at as a primary source of travel and tourism, from individual experiences to festivals, music heritage and the use of music videos to promote, and share, local culture and local experience. In this report, we hope that you learn from the experiences of others, from all over the world, on how music is a tool to enhance your destination and better tell your story. Both sectors are outpacing global economic growth. The music industry – from streaming to live music – is growing at twice the rate of the global economy right now and in 2017 international tourist arrivals worldwide grew by 7%. This white paper looks at how the sectors can partner to increase economic value on both sides. The report includes case studies examining the role of music in destination development, travel marketing, conferences and experiential travel – from music festivals and heritage music to the use of music videos to promote and share local cultures and experiences. Through these studies, the guide identifies areas for discussion and suggests opportunities for destinations to develop musical tourism products and boost their tourism branding. We hope these case studies, lessons and experiences help you think more seriously, and deliberately, about your music offer, heritage and story. There's more value there than you know it. 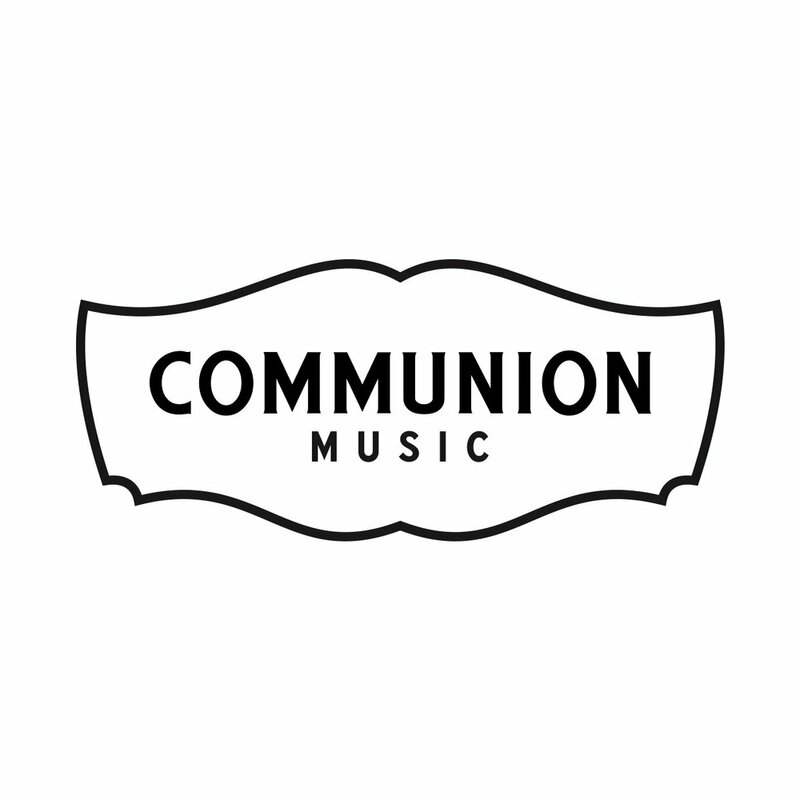 Just take a listen, and you'll realise music is a value-add across your entire touristic offer. The full Music Tourism White Paper is available free for a limited period only. For more information about the guide, contact us here. Subscribe to Sound Diplomacy news and get the report. Published in Summer 2018, this guide is written by Sound Diplomacy and Andreina Seijas. In it, you'll find out to how to develop and expand the benefits that the evening and night time economy create in your city, town and place. We wrote this guide for mayors and their advisors, economic development professionals, tourism agencies, cultural bodies and night time professionals, including owners, operators, artists and managers. It is also meant for planners, licensing professionals, police, environmental health agencies, chambers of commerce, business improvement districts and cultural quarters. With this publication, we highlight existing best practices while championing diversity, information-sharing and debate. We feature global thought leaders and case studies, but at the same time leave it open for you to take these ideas home and make them your own. The full Night Time Economy Guide is available free for a limited period only. For more information about the guide, contact us here. We're proud to launch this 'Guide to Becoming a Music City' poster and foldout, which is the best outline of what every city, town or place should do to develop your music ecosystem and sector. This poster synergises our thinking on what a music city policy is; and to us, it's everything. It encompasses jobs, skills, transport, tourism, branding and more. So have a read, and please share. 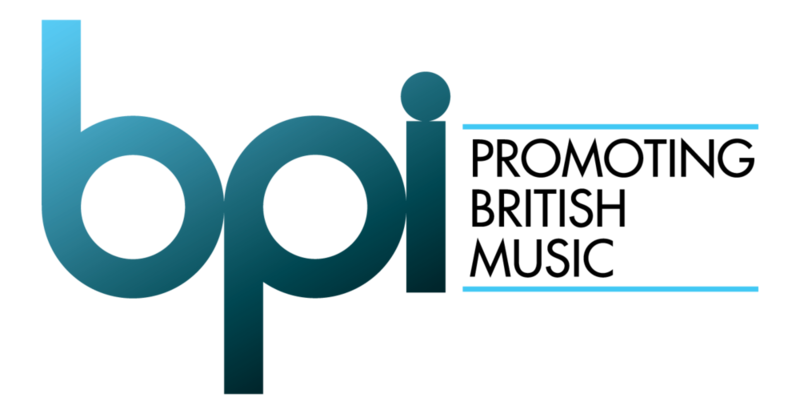 If you're interested in finding out how we can help you develop your music policy and inventory, get in touch. Let's make all our cities, towns and places better. We can do that with music. Your Guide to Becoming a Music City © Sound Diplomacy. Design & illustration by Alice Clarke. The Madison Square Garden Company has announced plans to bring a large-scale, state-of-the-art, music and entertainment venue to London. As part of its due diligence, MSG worked with Sound Diplomacy to assess the London venue market and to compare it with other major cities: Paris, Berlin, Madrid, and New York City. Like London, these four cities are standard stops on venue tours, offering state-of-the-art venues to acts and music fans. By comparing the populations of these cities to how many venues they have, we identified the average population size per venue (ppv). London had the highest ratio, almost 1 million people-per-venue ahead of the next-most densely serviced city (Berlin). New York, the only city listed with a comparable population size, has almost four times as many venues, which means each venue has a quarter of the audience pressure of London’s venues. 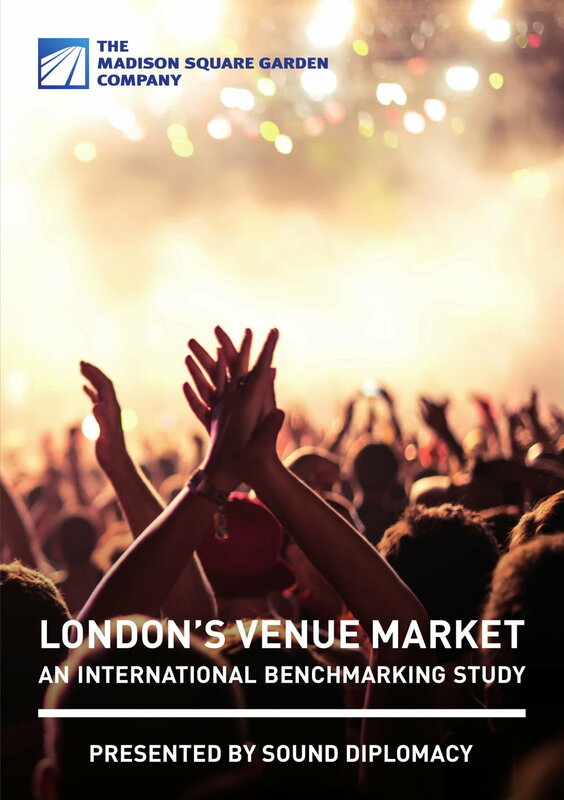 The London Venue Market Report is available to download now. For more information about the report, contact us here. 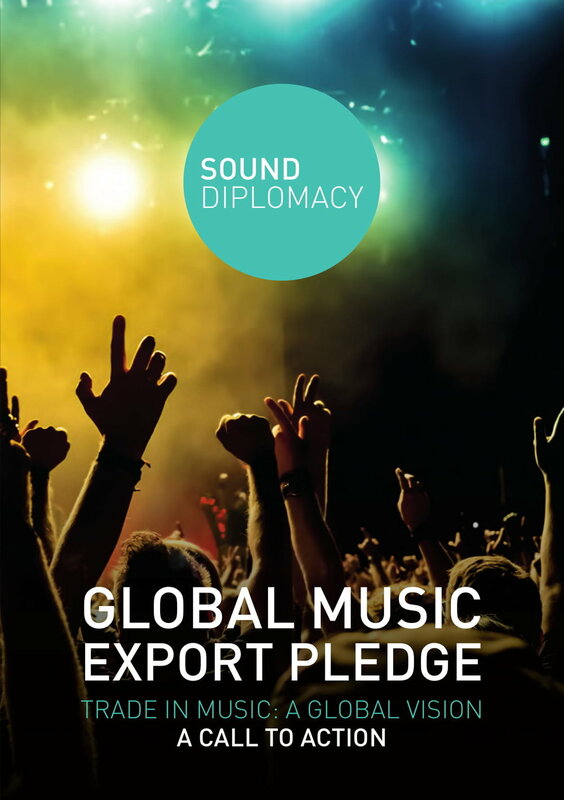 Published in May 2017, Sound Diplomacy's Global Music Export Pledge introduces the benefits of music export to governments around the world. We want every country in the world to have a thriving, active music export initiative. It doesn’t matter how it is set up. It matters how its functions impact the artists it serves. Talent is everywhere, and great talent deserves the best support. The full Global Music Export Pledge is available free. For more information about the report, contact us here.